I've lived in Wellington for about three years now and despite how small the city is, I'm still finding places I've never been. That's the brilliant thing about Wellington. You can walk down the same street you've been walking down everyday for the past six months and spot a cafe, antique store or even a piece of art or a mural that you've never seen before. Yesterday was a perfect example, when my flatmate and I decided to venture up the road for a delicious Sunday feast of cheap 'n nasty fish and chips. Up that end of Riddiford Street, the most well-kept building is the Newtown TAB. A lot of the other buildings are boarded up and abandoned. There are a few Indian food stores and an internet cafe. The locals are more than friendly enough, but can look especially menacing drinking Woodstock outside McDonalds at 9am. There's a secondhand antique store that looks pretty cool but I've never been in, and an abandoned gas station that makes for some great dystopian-like photos. The houses are incredible, but rundown. There is one that is especially dilapidated I've always wanted to explore but have never made the effort. 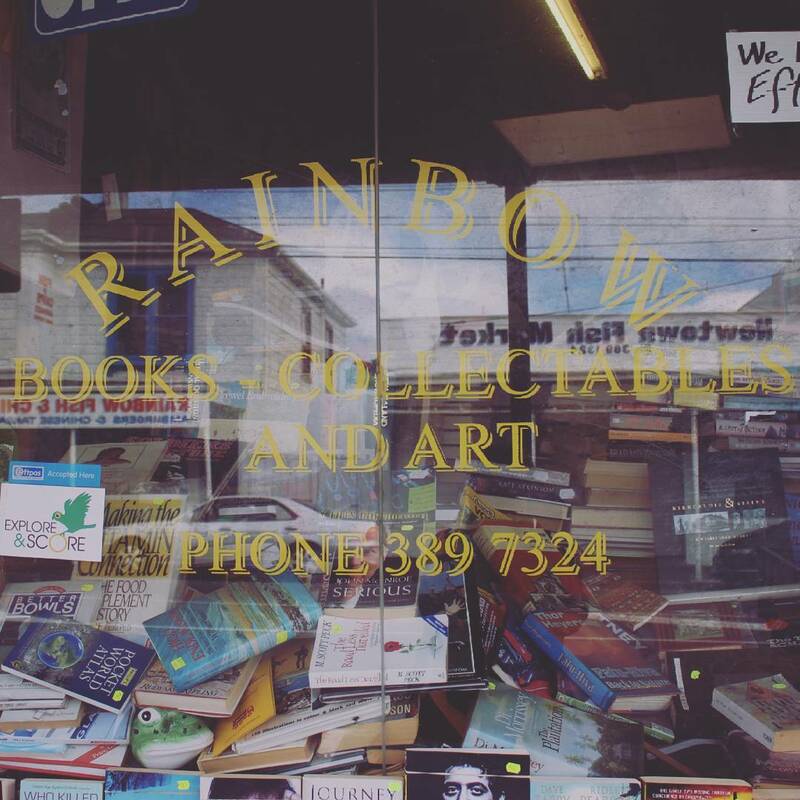 I'll admit I hardly ever go up that end of town but if I hadn't gone up there, adamant on having a bucket of saturated fat and grease for dinner, I never would have found Rainbow Books. 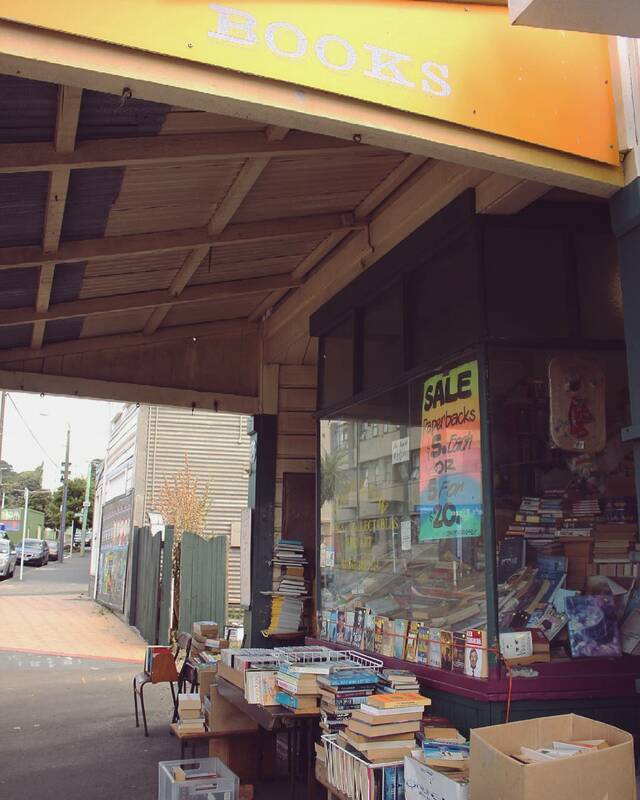 Who would have known that all this time, while I've been walking all the way into town to buy my second-hand books, there is a store specialising in just that less than ten minutes walk from my house. You see, I love books. I especially love second-hand book stores, the ancient smell of the paper of the dust and how you can practically feel the hands of previous owners upon the pages. I love how you can sit in a warm, dry corner of the store, and using only the light coming in through the holes in the ceilings, you can become so wrapped up in a story you forget what's going on around you. Tablets and kindles, although convenient, are so impersonal. But that seems to be the way these days, trading in life, experience and culture for a quick fix. 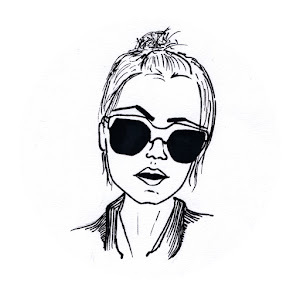 To me, reading books is like listening to records or using a 35mm film camera. The quality of the experience is just so much... better. More alive. In Rainbow, there are books everywhere. We're talking piles and piles of books, stacked up to the ceiling. There was a bearded old hippie behind the counter who I believe owns the store. He was super friendly, and introduced me to the dog who guards the front entrance. Her name is Taj (like the Taj Mahal) and boy oh boy, she is a cutie. I would have loved to have stayed longer and explored more of the store but I had to be on my way. 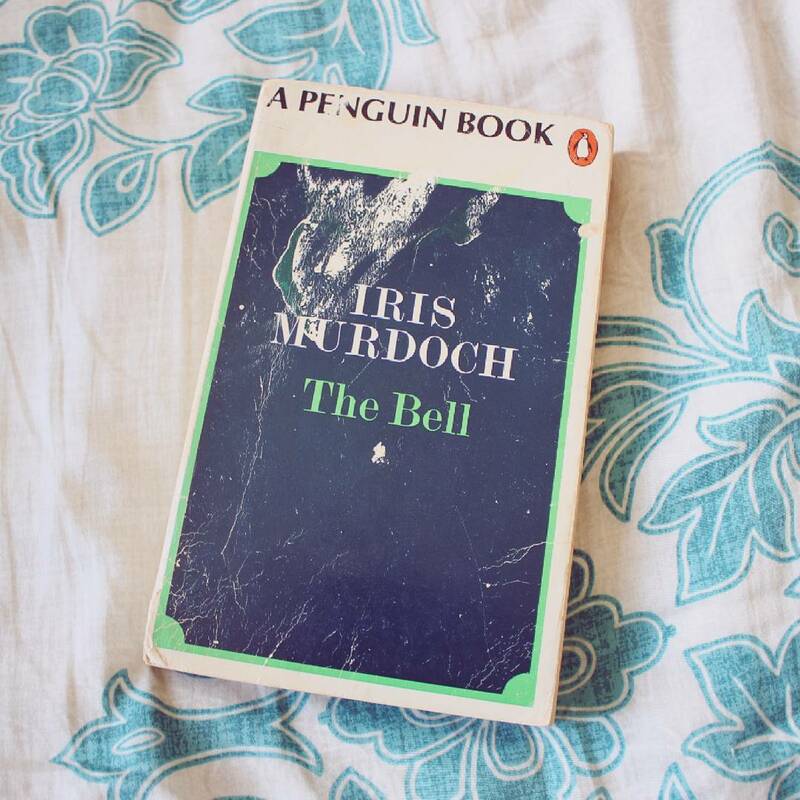 I walked away with an Iris Murdoch novel entitled The Bell which was only five buck, promising the bearded hippie I would definitely be back.